and if you don't love it, you can leave it! nad There's nothing better than seeing the face of a happy client when they get "that feeling"and realize they've found the next home they will build memories in or put their hard earned money into as an investment. We've seen it hundreds of times. There are many things that lead up to finding the perfect property. Here are a few things we highly recommend as you to prepare to buy your next house. That's right, talk to a lender the minute you begin the process of looking for a home. Why? Because it is very disappointing when you find the perfect home and it is out of your reach. Our goal is to help you find the right home for the right price at the right time your needs. So we encourage all of our future home buyers to speak to one of our preferred lenders and get a pre-qualification letter that identifies how much home you can afford. Look at it this way. If you spend hours upon hours looking at homes online, only to find out that they are incompatible with your needs, you've wasted valuable time finding the perfect home in your budget. Talking to a lender is EASY and there is ZERO commitment. And once you have a pre-qualification letter you can look with confidence. Talking to a real estate agent may seem like a given, but many people begin their home search without touching base with us. We can do a lot for you. 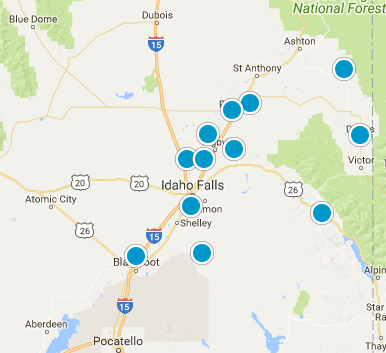 For example, did you know that we work with more then just properties listed on the Snake River MLS? We also work with for sale by owner sellers. So you don't need to do all the work of trying to contact sellers to schedule appointments. We'll do it all for you. We even negotiate with for sale by owner sellers to ensure that when you do make an offer, the correct contracts, procedures, and contract to close tasks are performed, regardless of the sellers inexperience. We can save you a lot of time and a lot of money in the long run. Another good reason to talk to us early in the home buying process is unlisted properties. We often have sellers that don't want to list their property publicly. They would rather have us keep the listing in our pocket and match buyers that we know with their home. So when you talk to us early, we can let you know if there are any unlisted properties available. We can also work closely with your lender to make sure that everything is in place when it is finally time to make an offer. Some home buyers actually lose their dream home to someone else because they don't have their financing in place when they finally walk through the door of their dream home. Stay calm and don't panic! Looking for a home can be overwhelming, especially for first-time homebuyers. It doesn't have to be that way. One common mistake that home buyers make is not documenting their wants and their needs early as they prepare to buy a house. This leads to stimulus overload! So take a few minutes, sit down at the dinner table, divide a piece of paper in half with wants on one column and needs on the other. List out what you absolutely want in a home and what you would like. Then take an honest look at it and reconcile any competing wants and needs. Making a wants and needs list can be difficult. Give us a call. We'll come to your home, sit at the table with you, and give you insights and direction as you discuss you lists. Contact Team Greene today and we'll help guide you through your next real estate experience.